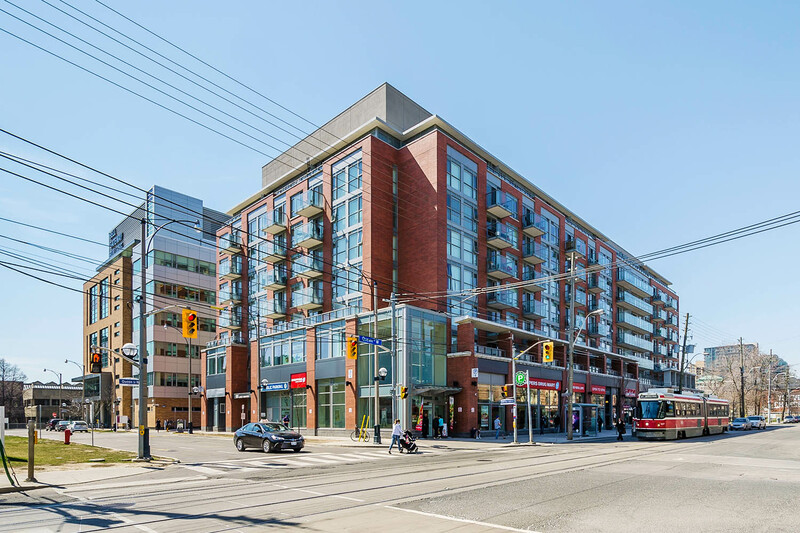 Sweeny&Co was engaged by Verdiroc Developments to design and develop the first non-CAMH building on the campus, located at the southwest corner of Queen Street West and the newly created Lower Ossington Street. 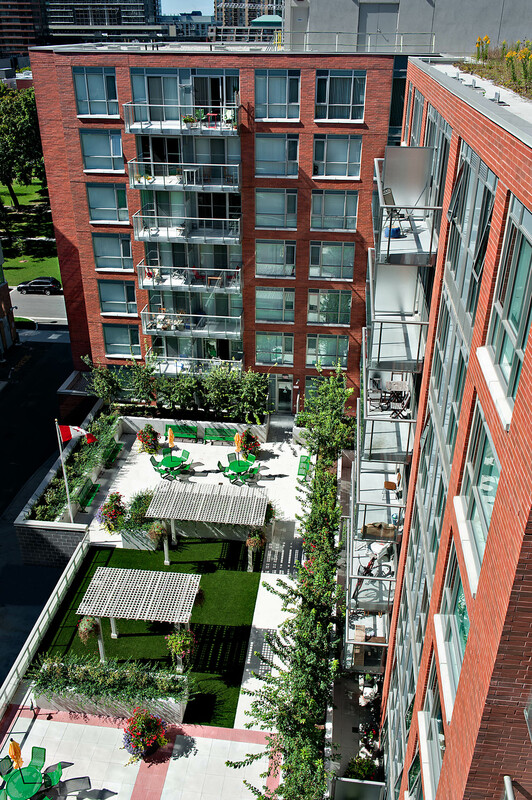 The Centre for Addiction and Mental Health initiated a strategic planning process and master plan in 2002 to develop the 27-acre site at 1001 Queen Street West to improve client care and improve operational efficiencies. The key vision of this plan was to transform the institutional setting into an Urban Village, where CAMH functions would be interspersed with typical urban land uses. This was achieved by creating streets through the campus and assigning several blocks of land for development not related to CAMH. As a result of this master plan, Sweeny&Co was engaged by Verdiroc Developments to design and develop the first non-CAMH building on the campus. 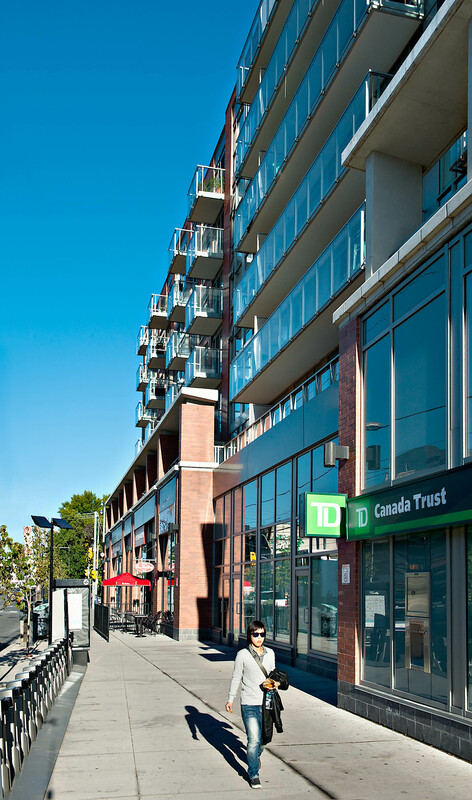 Located at the southwest corner of Queen Street West and the newly created Lower Ossington Street, a 155,000 s.f. mixed-use development was designed to respond to the area design guidelines. Previously the site of CAMH’s three-storey administrative building, the new building program includes 21,500 s.f. of continuous retail along Queen Street, reinforcing the street’s established retail character. 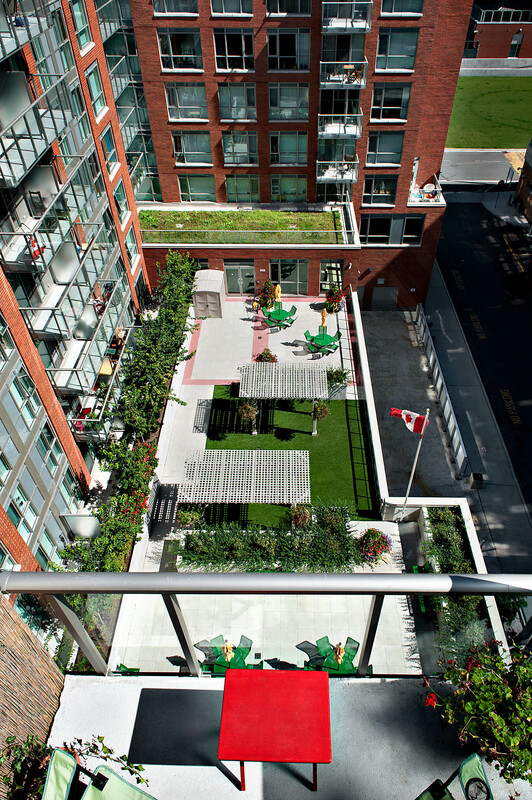 Above, 179 suites of affordable rental housing on seven storeys are organized in a U-shape around a second-floor south-facing courtyard. This new development embraces social and economic sustainable visions and will act as a major anchor for the Urban Village and future development to come.